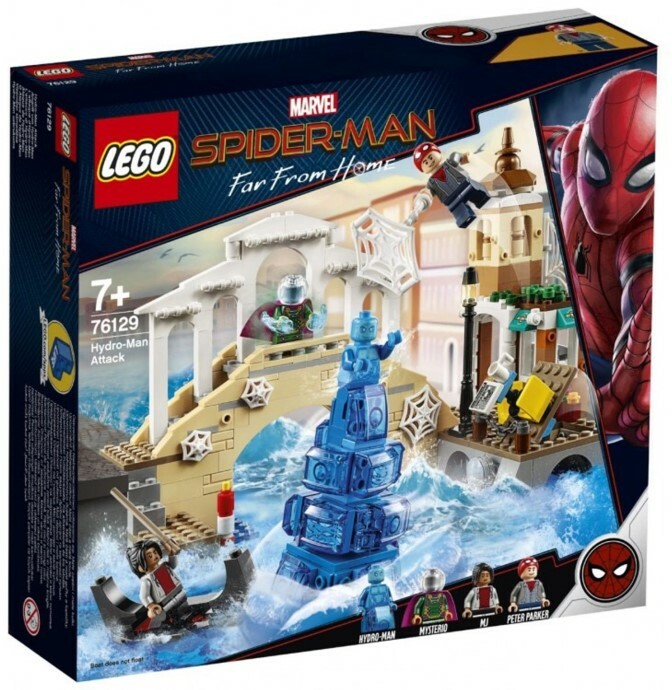 Back in December, the names of three Spider-Man: Far From Home LEGO sets leaked online that teased some intriguing scenarios, and thanks to Ukranian toy store Playzone, we now have our first images of all three products. 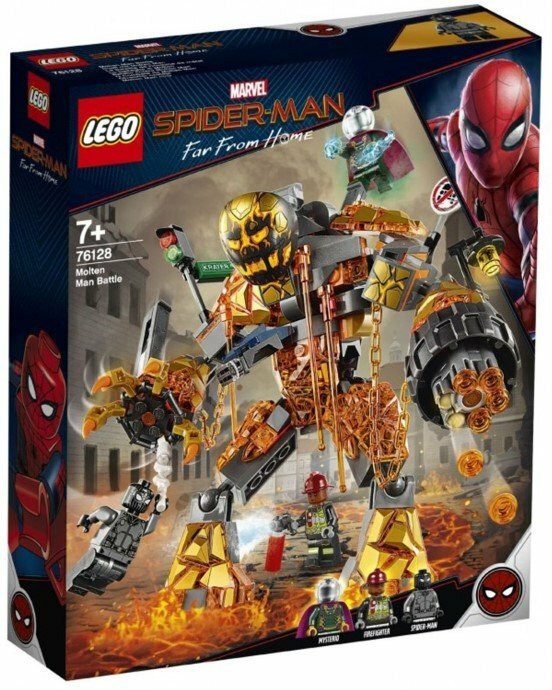 First on the list is “Molten Man Battle,” which features Mysterio, a firefighter and Spider-Man in his new stealth suit, along with the set’s titular villain. As Tom Holland and Jake Gyllenhaal said at CCXP last December, Peter Parker and Quentin Beck will be teaming up to fight Elementals across Europe, and from the look of things, Molten Man is one such foe. 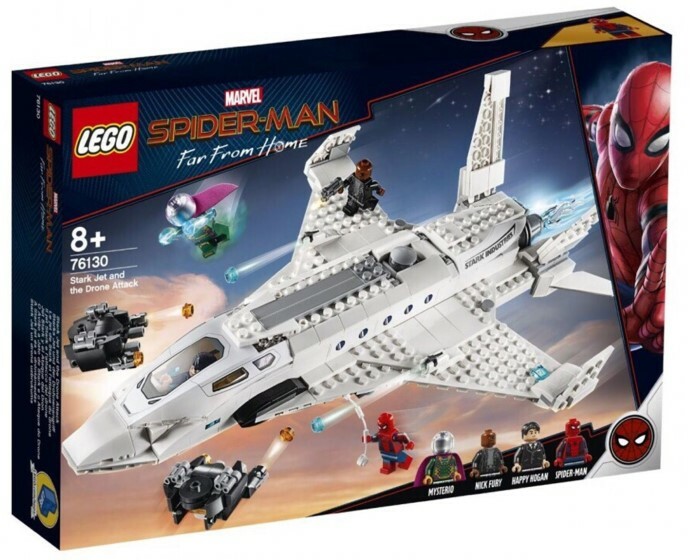 This scene of Spider-Man, Nick Fury and Mysterio fighting off drones while Happy Hogan pilots the plane is notable for a few reasons. For one thing, the lack of Tony Stark himself may feed into the prediction that Avengers: Endgame will be Iron Man’s final film, and might even see the Phase 1 hero meet a tragic end. On top of that, the fact that the enemies in this sequence are remote-controlled machines fits in well with the popular theory that Mysterio is secretly orchestrating all these attacks. Either way, given Quentin’s comic book history, we can probably assume that his friendship with Peter will be short-lived, but we’ll find out what tricks the illusionist has up his sleeve when Spider-Man: Far From Home hits theaters on July 5th, 2019.